According to the World Health Organization, there are several common health concerns associated with human ingestion of Mercury, including: Harmful effects on the nervous, digestive and immune systems, the lungs and kidneys. Mercury has even proven to be fatal. A list of central nervous system/neurological disorders have been observed after inhalation, including, mild tremors, insomnia, memory loss, neuromuscular effects, headaches, as well as cognitive and motor dysfunction. These health concerns have lead to a significant need for mercury removal from the body. Amalgams used for dental fillings are composed of more than 50% Mercury and as they break down and vaporize over a period of years, you are inhaling this potentially harmful heavy metal. Daily activities like brushing your teeth or drinking hot liquids increase the vaporization and ingestion of Mercury, from your fillings, into the body. It may be time to consider a SAFE Mercury removal for your overall body health. How does the Mercury in my fillings get into my body? As your old Mercury-silver Amalgam fillings degrade and break down over time you are likely inhaling vaporous Mercury into your respiratory system. The World Health Organization estimates up to 17mcg of Mercury is inhaled per day from fillings. Ingesting Mercury is the number one way it can cause damage to your body and mind. If you are experiencing any of these symptoms and have Mercury-silver Amalgam fillings it might be time to consider SAFELY removing them. Mercury crosses the placental barrier in a pregnant woman and directly affects the fetus. One of the reasons women have been advised to stay away from diets heavy in ocean caught fish is to help avoid exposure to Mercury. The same concerns often exist from inhaled Mercury, even post-pregnancy, many women will continue to measure the amount of Mercury in their breast milk to avoid ingestion by a newborn. Mercury has the ability to absorb into the nervous system and affect the way your brain should normally function. The Mercury and Methylmercury contained in the amalgam passes through the blood-brain barrier, making Mercury a particularly dangerous substance to your brain. In addition, Mercury can also negatively affect the endocrine glands of the brain that control the hormone systems of your body. The symptoms of Mercury poisoning are well documented and affect the human body in many ways. Avoidance of heavy metal exposure is recommended by major medical publications all over the world. If you have Mercury-silver Amalgam fillings and have concerns for your overall body health, contact us today to learn about our SAFE Mercury-silver Amalgam removal procedures and live a healthier lifestyle. 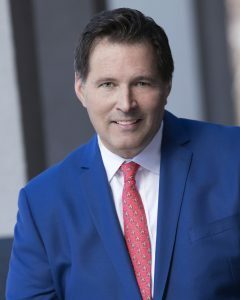 As one of the country’s most respected holistic dental practitioners, Dr. Jim Wright has SAFELY removed thousands of Mercury-silver Amalgam fillings in a continuing effort to help spread the message of holistic, whole body health to his patients and beyond. Book your appointment today to safely remove the Mercury in your mouth with our Huggins-Wright© SAFE Mercury Protocols. Removal of Mercury-silver Amalgam fillings is one of the highest opportunities for exposure and ingestion in your body. If not done safely, the damage may be worse than leaving your fillings in. The World Health Organization estimates that patients with Mercury-silver fillings receive up to 17mcg of Mercury per day from their fillings. Leading expert Dr. Tom McGuire states, “When a Mercury-silver filling is unsafely removed, 4000 mcg of Mercury is released.” This is 235 times more Mercury exposure. Make sure you do your research on Mercury removal procedures before booking an appointment. Our SAFE Mercury removal protocols ensure the least amount of exposure during the removal procedure. The good news is Mercury in your mouth doesn’t have to be permanent. At Four Seasons Dental Spa, we’re a Las Vegas dentist that cares about you, your whole body and your overall health. As a board-certified holistic, biological, integrative, functional dentist we know that 80% of disease symptoms are caused by problems in the mouth, according to many medical experts. This was discussed at the Holistic Oral Health Summit. Contact us for a consultation and information on our SAFE Mercury removal protocols today.